Medical Sciences & Related Disc. 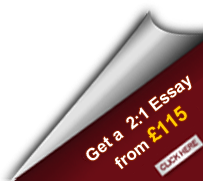 Study Aid Essays is a trading name of Deckchair Research Ltd who act as an agent between freelance writers and people who wish to purchase tailored essays to be used as a study guide. Please note that any Work supplied through the Agency is intended for guideline purposes to give you a better understanding of how Work of this nature should be drafted and tackled. This should never be submitted as your own Work to any educational institution. You should also check and comply with the rules of your institution in regards to using our service. Your use of this the website constitutes your agreement with the terms and conditions as stated below. If you disagree with any of these terms and conditions, do not use this Website or our services. By submitting the order form or payment, you confirm that you fully read, understand and agree to be legally bound by these terms and conditions which form the entire agreement between the Agency and you. “Conditions”: means the standard terms and conditions stated in the document and as any other terms agreed between a Client and the Agent in writing. “Services”: means the provision of writing services by the Agent with these terms and conditions. “Work”: means the written text produced by the Writer, which can be a paper, an article, an essay, or any other document ordered and paid for by a Client. “Client”, “You”, “Yours”: means the Client who places an order with the Agent and whose order is accepted by the Agent. “Writers”, “Writer”: means the freelance writers who provide services to the Client. You appoint us to locate writers in order to carry out research and/or assessment services (the "Work") to the Client during the term of the agreement in accordance with these provisions. You are not permitted to make direct contact with the Writer -- the Agency will act as an intermediary between the Client and the Writer. You acknowledge that the Agency is completely independent of the Writer and that the Agency has no input regarding the delivered final Work. 3.1. When the Agency receive your order the Agency will allocate a suitable qualified Writer who the Agency deem to hold appropriate levels of qualification and experience to fulfil your order. 3.2. The Agency undertake to exercise all reasonable skill and judgement in allocating a suitably qualified Writer, having regard to the available writers' qualifications, experience and quality record, and to any available information the Agency have. 3.3. Once the Agency has located a competent Writer and obtained payment from the Client, then the order is final and no refund can be issued. 4.2. The Agency try to ensure that all written materials supplied to the client are plagiarism-free, by subjecting such Work to scans by plagiarism software as well as running all Work through our quality control department. 4.3. Where the Client detects plagiarism in the Work, the Writer will refund the Client the full amount. The client may instead of a refund choose to have a full re-write of their paper from an alternative Writer. 4.4. The Plagiarism Guarantee is solely between the Writer and the Client. The Agency will not be responsible for any legal fees should litigation be commenced as a result of the Guarantee. (ii) Passes off someone else's ideas as their own; (iii) Rewords a source but retains the original ideas it contains, without giving due credit; (iv) Fails to put a quote in quotation marks; (v) Copies large sections of someone else's words or ideas, even if credit is given or quotation marks are used; (vi) Gives incorrect information about the source of a quotation - for example, citing a source that the real author has found and used, that the Writer does not have a copy of; (vii) Changes the words but copies the sentence structure of a source without giving credit. 4.6. If a claim of Plagiarism is made by a Client then the Agency will examine and deliberate on the Claim and then will issue a final verdict which will be binding and may not be disputed by the Client or Writer. 4.7. Where a Client requests certain portions of text or Work to be included in the Work then no claim of Plagiarism may be made. 4.8. In all cases, where the alleged Plagiarism is not of a significant nature then the ‘No Plagiarism Guarantee’ will not be payable. 4.9. Use of standard expressions and similarity in references cannot be regarded as a case of plagiarism and will be excluded from the plagiarism estimate detected in the Work. In cases when the plagiarism estimate is minor or when it is reasonably obvious that the plagiarism has been detected as a result of a software mistake, the ‘No Plagiarism Guarantee’ will not be applied. Client agrees that the Agent's decision as to the exact plagiarism estimate detected in the Work is final. 4.10. The Agency is not affiliated to any essay bank or database and will never publish, distribute or re-sell your Work. 5.1. A Client agrees to undertake reasonable efforts to provide clear order instructions. Contradiction in order instructions may result in a delay in delivery of a completed Work for which the Agency will not be liable. 5.2. A Client may not be able to request amendments to their Order once payment has been processed. If additional instructions have been provided by a Client with a delay, the case may be treated by the Agent as an instructions change and may involve extra editorial fee that must be covered by a Client in full. Inconsistent instructions or the lack of it may also result in a delay in delivery of a completed Work. 5.3. The Client is authorised to submit supporting documentation/additional information after any payment, whether in whole or in part, if not done so during the initial order process. This documentation/information will be taken into consideration providing that it does not substantially conflict with the initial instructions. 5.4. Supporting documentation/additional information if not submitted with the original order must be submitted within 24 hours of the Writer commencing Work. 5.5. Where the documentation/information submitted substantially conflicts with the initial instructions then the Agency shall be entitled to revise the price of the Work or allocate the Work to a different writer at its discretion. 5.6. You acknowledge that inability to provide instructions or guidance during the provision of the service may delay the delivery of the completed Work and the Agency cannot be held liable for this delay. It is recommended to check your e-mail from time to time to address any questions that a Writer might have when working on the Work. Inability to check the messages and provision of incorrect contact phone number may result in a delay in delivery of a completed Work. 5.7. The Agency will be the sole adjudicator in deciding whether or not a Work is in line with the instructions given by the Client. 5.8. The Agency will be the sole adjudicator in deciding whether or not additional instructions provided are in conflict with the original instructions after taking due consideration of the Writers view. 6.1. The Agency agree that if a Client believes that the Work delivered does not meet the initial instructions provided or the guarantees as set out on our the Website, a Work can be amended free of charge. A revision request must be provided via e-mail within 7 days of the delivery date. If the client has paid for an extended amendments period then they are entitled to amendments by sending an email during this time. If more than 7 days or the additional amendment period purchased have passed from the delivery date, it is assumed that a Client is satisfied with the Work received and is not eligible for revision. 6.2. Any revisions requested after this point will be treated as a new order. The writer will view the instructions and quote their price for the revisions. The agency will apply its fee and quote the client the final price. 6.3. The Client is entitled to make one request for amendments to a completed order within the valid amendment period. The Agency shall have full discretion in deciding whether the request is reasonable. 6.4. Where a request for amendment to a completed order is made, the writer will be asked to comment. If the Writer deems the request as reasonable then the writer will make the necessary changes. 6.5. If the Writer does not agree with the amendment request, the Agency will ask for them to comment as to why that is. If the client is not happy with this reason, and there is a dispute, the Agency’s quality control team will view the disagreement impartially and pass a decision which will be final and binding on both parties. The Agency may ask for assistance from another Writer. 6.6. If the request is judged to be reasonable then the Agency will notify the Writer to deal with the request. The Agency will do everything in its power to ensure that the writer complies with its agreement in providing the amendments. 6.7. If for whatever reason the writer is unable to complete the amendment, the Agency will endeavour to find another Writer to make the amendments. If the Agency is unable to find an appropriate Writer then the Agency will discount the Work provided depending on the magnitude of changes requested. The amount discounted will be at the discretion of the agency. 6.8. The Agency has the right to refuse amendments that appear to be in breach of the terms of this agreement. 6.9. Revision time needed for a writer to correct the Work is excluded from the initial order deadline. A Writer might require extra time to deliver the completed Work. 7.1. If a client requested a standard of Work (Grade 1.1, 2.1 etc), the Agency guarantee to provide that level of Work first time. If the Work does not meet the required standard the client is entitled to a full refund. If the Work has been subject to the Agency’s Quality Control process and has been successful, it is presumed by the Agency that the Work is at the requested standard. The Client may dispute the standard of Work by contacting the Agency within 7 days of the delivery date. The agency will review a case if evidence can be provided as to why the Work is not to the standard requested. The Agency will carefully review the Work and make its decision. The Agency may refer the case to another Writer to assist its review. 7.2. If the Client has in their possession any evidence whatsoever that the Work does not meet the quality standard ordered, then this evidence must be submitted to the Agency within 48 hours of notifying the Agency of the failure to meet the requested standard. 7.3. If the Work is determined to be below the quality standard ordered, but the reason for this is that the Client made requests that are deemed to have hindered the writer obtaining the standard requested, which if not made, would with high probability have resulted in the standard requested, then no refund will be given. If the Work is determined to be below the standard because the instructions the writer received was open to interpretation due to ambiguity then the client will not be entitled to a refund. 7.4. The Agency will exercise total discretion in deciding whether to grant a refund under the terms of this Clause. The Agency’s decision will in more cases than not coincide with the views of an additional Writer assisting its investigation. The Agency’s decision is final and will provide sufficient reasons to its decision. 8.1. Agent's charges for the services provided are shown on the Agencies Website. If a Client requires a type of Work that cannot be classified as a regular type of service provided on Agent's the Website or if a Client requires their completed Work to be amended in a way that is inconsistent with the initial order instructions, then the Agency will advise of the fees which must be paid. 8.2. A Client is invited to pay for the order in advance when the Agency is reasonably confident that the Agency can allocate a writer to deliver the Work. If payment in advance has been provided, but the Agency cannot allocate a writer to deliver the Work a full refund of the payment made in advance will be provided. 8.3. You acknowledge that a Writer is allocated to complete a project once an order has been paid. Inability to provide payment upfront once an order form on the Website has been filled out or has been filled out inaccurately will result in the Writer not starting on the Work or a delay in delivery of a completed Work. 8.4. VAT (Value Added Tax) is included in the price displayed on our The Website and on any quotes given for special orders. 8.5. The Client agrees that once an Order is paid for then the Writer allocated by the Agency begins Work on that Order, and that the Order may not be cancelled or refunded unless refunded under the terms of this Agreement. 8.6. If, at their discretion, the Agency accepts a deposit rather than the full value of the Order, the Client acknowledges that the full balance will remain outstanding at all times and will be collectable as a debt if not paid by the time of delivery of the Work. 8.7. The Agency has the right to never deliver the Work until complete payment has been made. 8.8. The terms in this section are pursuant to the terms contained in the “payment up front” clause. 9.1. The Client acknowledges and accepts that they do not obtain the Copyright to the Work supplied by the Agency’s services. 9.2. The Client is not permitted to pass a Work off as their own, as they do not hold the copyright to the Work. All Works delivered to a Client are for research and/or reference only, designed to inspire a client’s own Work. The Agent does not condone, encourage, or knowingly take part in plagiarism or any other acts of academic fraud or dishonesty. The Agency strongly adheres to and abides by all copyright laws, and will not knowingly allow any Client to commit plagiarism or violate copyright laws. 9.3. Client agrees that an Work delivered to them is provided only as a model, example document for research use, and any text and/or ideas from our document that they borrow, reference, refer to, or otherwise use in any way in their own original Work must be properly cited and attributed to the Work, provided by Deckchair Research Ltd.
9.4. The Client acknowledges that if the Agency reasonably suspects that any Work obtained from the Agency is intended for use in violation of the above rules that the Agency has the right to refuse to carry out any further Work, or discontinue providing the current service to the Client involved and that the Agency bears no liability whatsoever in this regard. Deckchair Research Ltd takes no responsibility for any detected and/or unauthorized violations of the term of this agreement. 10.1. Delivery time begins from the moment payment has been taken and a writer has been allocated and the Agency has confirmed the writer has begun Working on your project. 10.2. Upon completion, the Work is uploaded via our Website and can be delivered upon request to the e-mail account that was used by the Client when registering on Agent's The Website. 10.3. If a Client does not receive a completed Work by the deadline, they agree to contact the Agent to Work with them to overcome the technical difficulties, if any, where a representative will assist them and help to receive the Work. The Agency do not accept any liability for delays in uploading the Work if the Agency can provide proof of malfunction services provided by third parties or our own system. 10.4. The Agency will not be liable for any delays or technical problems in delivery of the Work resulting from any malfunction of Client's mail-server or Client's Internet Service Provider. 11.1. Due to the specialised nature of this service, the client understands there is a strict no refund policy. A client is entitled to a refund or a free rewrite if the Work does not meet the standard requested. Please see section 7 Standard of Work for the Terms regarding the standard of Work. 11.1. If the Agency agrees to refund the Client in full or part, this refund will be made by whatever method of payment the Client used to fund the order. All refunds are made at the total discretion of the Agency. 11.3. The client acknowledges that the Work is to be used as a learning resource, reference and example, for the clients own inspiration. The client understands the importance of this and acknowledges that the Agency have made numerous attempts to bring this to their attention. Under no condition will a refund be given in such cases. 12.1. As per the Client does not own the Copyright to the Work; the Client is therefore not permitted to pass the Work off as their own. 12.2. The client agrees that in no way does any guarantee in relation to the standard of Work represent a guarantee that the same written Work handed in to the client’s university or school then the client would receive that mark. All Work supplied by Deckchair Research Ltd are to be used as model examples of what the clients own Work might look like. 12.3. The Agency cannot guarantee the Clients final degree mark and the Client accepts that the Agency make no representations on this behalf. 13.1. The Client may be asked to pay for their order even though the Agency has not yet secured and writer to carry out the Work but where they reasonably expect to find a writer. 13.2. The Agency does not guarantee that a writer will be found where payment has been made upfront. 13.3. In the event that the Client makes a payment in advance and the Agency cannot secure a writer to complete the Work, the Agency will offer the Client a full refund of the payment made in advance. 14.1. The Agency offer student education related products such as plagiarism software, past papers, marking and proofreading services. 14.2. By providing us with your contact details, you will be indicating to us your consent to us contacting you by mail, telephone, fax, email, and SMS/MMS to let you know about any services or promotions of our own which you might be interested in unless the Agency receive express written instructions to the contrary. 16.1. The Industry Best Guarantees promise means that if the Client finds another authentic UK-based the Website that offers and delivers better guarantees than the Agency, then the Agency will meet the other the Website's guarantees and complete the Client's order without charge. Please note that the Agency will retain absolute discretion in deciding whether the Website in question is authentic. 17.2. The Agency undertakes that all Work will be completed by the Writer on time or they will refund the Client 10% of the order value for every full day the work is late. Alternatively, the client may cancel his order and receive his money back in full. 17.3. If you provide additional details after the payment of the order that has to be incorporated, then deadline will be adjusted accordingly. 18.1. The Agency will not disclose any information provided by a Client when placing an order except for occasions when it is required by a lawful authority, and/or to pursue any fraudulent transactions. 19.1. The Website or Agency staff may provide links to other the Websites or resources. The Agency cannot be responsible for availability of these resources and does not approve, certify or sponsor the linked sites. Client acknowledges that the Agent is not responsible for damage or loss, direct or indirect, resulting from the use of the linked sites. 20.1. Under no circumstances will the Agency be responsible for any indirect, direct, special, punitive, incidental, consequential damages or losses arising from the use of the Website or the Work delivered. 20.2. The client agrees that it is a decision on their part to depend on the services of the Agency to the extent that a delay in service may cause a client missing a deadline or jeopardizing their degree, in part or in full, or examination in any way is done so at the clients own risk and that the Agency will not be liable or take responsibility for any delayed service, whether it be its own fault or the clients. 20.3. The Agency do not claim that our service is authorised by any institution and that the Work provided by our writers merely express opinions which should not be constituted as fact and accept no liability in this regard. It is the obligation of the Client to investigate the rules and regulations of their academic institution or governing body on the use of our services and whether it is necessary for them to reference in their own Work the use of our services. 20.4. Further, the Client acknowledges and accepts that any views or statements expressed by marketing or other associates used by Deckchair Research Ltd are not made on our behalf and the Agency disclaim all liability in this regard. 21.1. You agree to indemnify the Agent from any claims or legal proceedings that may arise through your use of the Work. 22.1. Under the Data Protection Act 1998 the Agency follows strict security procedures in the storage and disclosure of information which you have given us, to prevent unauthorised access. You may edit your personal information at any time. 23.1. You acknowledge and agree that the Agency may unilaterally change these Terms and Conditions. The Agency recommend you review these Terms and Conditions from time-to-time as any such changes will be reflected in this section of our The Website. 24.1. Each of the parties to this Agreement irrevocably agrees that the courts in London are to have exclusive jurisdiction to settle any dispute arising out of or in connection with this Agreement and the laws of England & Wales are applicable therein without giving effect to its conflict of laws principles.